Effective reputation management strategies must be in place to weather bad news. The right crisis management programs, stakeholder engagement and media crisis training can make the difference. Benchmark delivers first-rate crisis communication training, consulting and coaching programs to help you succeed. Our crisis communication experts are also Certified Master Practitioners in Neuro Linguistic Programming (NLP), the study of human behavior and effective language strategies. 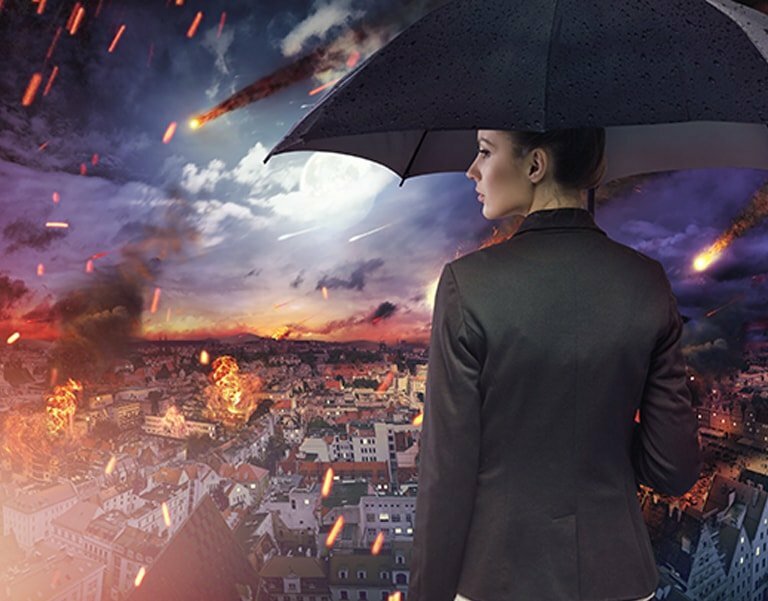 Develop social media crisis strategies to improve media relations and key stakeholder engagement during a crisis, so you can immediately influence media and public perceptions. How You Succeed – Social media is now considered to be a foundational crisis communications response tool. It is no longer a matter of “if” you will use social media during a crisis – it is a matter of how well you will use it. We live in a world where crisis news breaks in seconds on Twitter, Facebook and other social media channels, making social media the preferred platform for initial crisis communications with the media, public and key stakeholders. 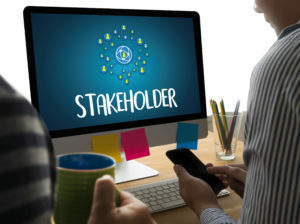 It should be an integral part of your crisis communications plan, because it provides more ways for your organization to connect with stakeholders during a crisis. 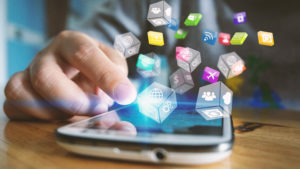 How We Can Help – We will show you how other organizations have successfully used social media as a key part of their crisis response efforts and help you take the steps to put an effective social media game plan in place. Clients have succeeded with Benchmark’s crisis management and NLP strategies for more than 25 years. Our crisis management leaders are Certified Master Practitioners in Neuro Linguistic Programming (NLP), the study of behavior and language patterns; they have also successfully completed certified FEMA training for Public Information Officers. We will give you the edge you need to succeed using social media during a crisis to influence stakeholder perceptions. Having testified before a Senate panel and debated Green Peace, I wish I had known about Benchmark’s strategies years ago! Benchmark showed us how to connect at an emotional level to establish trust and credibility with our stakeholders and the news media. Their Neuro Linguistic Programming approach completely changed the way we deliver our messages to make this connection. Their strategies have turned even our harshest critics into listeners! When 60 Minutes called us, we immediately called Benchmark Communications! Having worked with them for many years, we knew they would have the right strategies and insights to help us negotiate the terms of the interview, develop targeted messages and prepare our spokesperson to succeed. As expected, they delivered solid results! When the American Chemistry Council (ACC) invited me to attend Benchmark’s Media Crisis Training, I half-way dreaded it – thinking it was going to be just “another” one like so many before. Boy, was I wrong! Within the first 15 minutes, I knew they had some powerful and unique strategies. Their expertise in Neuro Linguistics Programming (NLP) makes all the difference. I learned invaluable new skills around matching perspectives and emotions, and I am now aware of the psychological barriers that impact my effectiveness with the media and stakeholders. I walked away with new skills that benefit all aspects of my career! Benchmark Communications provides a wealth of experience, expertise and capabilities that give clients the tools required to create, maintain and enhance an organization's image and reputation, while also developing key management as effective spokespersons. They have provided training to executives at the Fortune 500 and FTSE 100 companies where I have served in management as a communications professional. Expert at facilitating a wide array of communications training topics, Benchmark provides excellent value, first-rate results and enduring counsel and support. It is with great appreciation and enthusiasm that I endorse Benchmark Communications. Benchmark’s Media Crisis Training may be the most beneficial training in my 35 year career in the chemical industry. Thankfully, a crisis is not required to utilize the lessons learned. I have used techniques like alignment versus boxing in both professional and personal settings — and the outcomes have been remarkable! Benchmark’s coaches are engaging, passionate, knowledgeable, and creative. Well done! Benchmark’s media crisis training is very worthwhile. Having attended other such trainings while I was with Marathon Oil Company and later with Range Resources, I went into this training with skepticism. But, this class was head and shoulders better! It was much more thorough, more professional and will, no doubt, ultimately prove to be more useful. Benchmark’s approach is empathetic, thoughtful and measured; it emphasizes honesty and recognizing key perspectives. Their techniques are invaluable – and their team makes learning fun! Benchmark’s Media Masters Training is an eye-opener! In my job, I have to address groups of employees, local community groups and at times the media. This training made me think more about the audience, the message and the delivery all at the same time. And the hands on exercises showed me how to be better prepared for future interviews and speaking engagements. I highly recommend this training to executives or managers who have these same responsibilities. Benchmark’s leaders are great people and working with them is fun! At Shell Oil Company they helped my team with stakeholder relations, crisis communications and crisis media training; their work could not have been matched by any other group, because their leaders have a very unique set of skills, including business strategy, the law, news media and Neuro Linguistic Programming (NLP). Their skills allow them to offer a broad range of expertise and value. The Situation: Crisis plans, emergency drills, crisis management, media training and crisis response training do pay off! 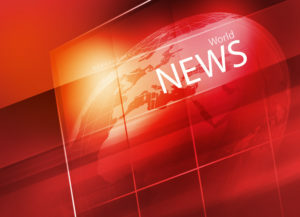 A chemical group experienced three newsworthy events within a short timeframe. The third event involved an ammonia release that resulted in the “shelter in place” of more than 42,000 residents. A major part of a community was shut down and many businesses within a large industrial area were also impacted. The plant site is located near major shipping lanes and interstate highways. We had worked with this client for many years: we helped them improve their crisis plans, tested their plans with crisis drills, upgraded their media kits, helped them create and implement stakeholder engagement programs, assisted with media relations / outreach, Responsible Care initiatives and more. We also trained their management team in crisis management strategies and equipped their spokespersons and frontline employees with crisis communications and media skills. The Results: Obviously, a third event impacting more than 42,000 people could have been devastating to the reputation and goodwill earned by this organization. However, the chemical group was able to respond quickly to ensure the safety of the community and employees. Dozens of media organizations made it to the area within a short time to cover this “lead” story and some national media also carried the story. Our team was on site to help the company implement its crisis plans and assist with media and stakeholder needs. Thanks to solid crisis planning and the goodwill this company had established with its stakeholders, the mayor and director of emergency services both participated in media interviews and praised the chemical group for their quick actions and effective, transparent communications. The media coverage was short in duration and the organization was able to resume normal operations. The Situation: A member of the Board of Directors for a healthcare organization was very familiar with Benchmark’s reputation as crisis management consultants and our approach to media relations and media training. Therefore, when his hospital discovered they had a serial killer on staff, he recommended they immediately call our firm for crisis planning and guidance. We helped them quickly identify and assess the impact to key stakeholders and reviewed the priorities of law enforcement and others involved in the criminal case. Then, we helped them coordinate messages with key parties and prepared them for a major onslaught of media coverage. The Results: Not surprisingly, this very serious and sad situation attracted worldwide media attention. The hospital’s leaders said our crisis response approach was absolutely instrumental in helping them seamlessly and effectively manage the devastating news and shore up key stakeholder support. They also credited our approach as a key reason why some of the major news organizations did not pursue the story at that point in time. The killer is now serving a life sentence in a Texas prison. The Situation: Solid crisis management and risk assessment are crucial, so when crises do occur, your team is ready to go with the right crisis response strategies, crisis plans and media training skills. A pipeline group faced a devastating failure on one of its major transmission lines. The incident left more than 1500 people homeless when nine apartment buildings burned to the ground during the middle of a cold, March night. The fireball was so large that it could be seen in other neighboring states. In addition, natural gas customers across the Northeast were left without heat during a period of frigid temperatures. For many years, our firm had trained hundreds of the pipeline’s people from the Gulf Coast to the Northeast in crisis communication, spokesperson and stakeholder relations’ skills. The pipeline group also called on Benchmark to provide crisis consulting and crisis training behind the scenes during this crisis incident. The Results: Some six weeks after the incident, the New York Times wrote a glowing editorial saying the company’s response was one of the best they had witnessed in the history of such catastrophic events. 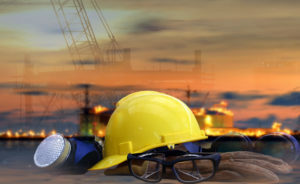 The pipeline company’s communication group won many awards from prestigious organizations for its crisis response and their leaders were asked to speak at numerous events to share their lessons and crisis response expertise. Company leaders often credited Benchmark’s crisis communications strategies and training as an important contribution to their success. 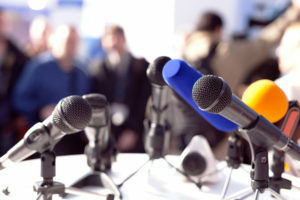 The Situation: Media skills are a must for today’s organizations, and the right media coaching is key when facing high profile media interviews. A Fortune 100 Company was invited to appear on Fox News, because the FTC had ruled against them on a key issue. 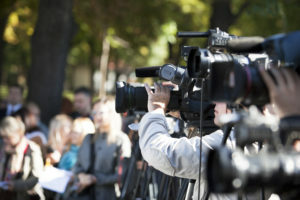 The company had called on Benchmark for years for media training and consulting; they did not agree with the FTC ruling, and it was beginning to attract negative news media and public attention. The company asked us to help them assess the issue, develop messaging and prepare them with media skills coaching, so they could effectively tell their story on Fox News. The Results: We collaborated with their head of marketing and PR Director to achieve their goals. We used our stakeholder analysis and media messaging tools to look at the issue from various stakeholder perspectives. Then, we developed key media messages, along with Q&A strategies. We conducted executive media coaching to help their spokesperson be comfortable and prepared for a range of possible interview scenarios. After his Fox News appearance, the client called to say how well our media strategies and coaching worked. Their spokesperson came across as very credible, comfortable, engaging and “human”. They felt they had walked away with the equivalent of a six-minute advertisement for their company! 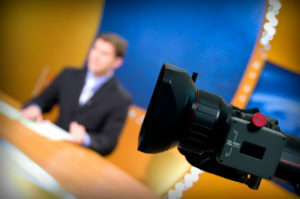 The Situation: Media training and media skills are a must for today’s leaders and organizations. A senior public affairs leader for an East Coast group was invited to attend a media training skills session sponsored by a leading industry association. The focus of the session was advanced media skills and crisis communications skills. She showed up late because she really dreaded attending. She had attended similar media training sessions over the course of her successful PR career and expected it to be just “another” media / crisis training – like so many before! The Results: However, she quickly realized that Benchmark’s approach and crisis strategies were VERY different! After the first break she got up and told the group how amazed she was at what she was learning in just the first hour – things she had never heard of before! She said that she had never heard other firms explain how to work with emotions, perspectives and psychological barriers to better connect with the media and stakeholders during a crisis. She continues to sing our praises to others seeking highly effective crisis management strategies and media skills.